The springtime months are fast approaching. We know what you’re saying… Santa hasn’t even gotten the soot cleaned out of his red suit yet and we’re talking about springtime maintenance? Right now old man winter has most of the United States under his chilly wing and a good majority of you are putting your fireplace and chimney through its paces; you’re probably enjoying the nice and comforting warmth from a fireplace burning right now as you read this. And that’s good! However, right now as that fire burns, creosote and other buildups are forming on the inside of your flume and chimney walls. As the winter months progress, that buildup will continue. 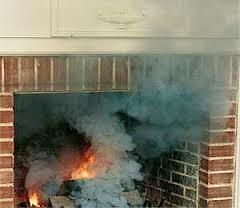 If left unchecked, that buildup can cause dangerous chimney fires and can cause the buildup of harmful gasses that are the result of combustion. This is obviously the last thing you want to think of right now, we’re sure. By calling your local chimney sweep right now and scheduling your springtime service out in advance you can rest assured during the remainder of the winter that you will have your chimney maintenance for the year locked down and ready to go when you are. No more worrying if you’ve cleaned the chimney or not and losing sleep over it. No more guessing. By scheduling your springtime chimney sweep service in advance right now, you’ll be able to concentrate on more important things like the 10 lbs you resolved to lose on New Years Eve and reading books to your grandchildren by the fireplace more often. Chimney service performed by professionals can help to make those resolutions come to fruition faster because when you’re in the care of the pros, you will no longer have to worry about your fireplace and chimney. You’ll focus on what matters. Chimney maintenance is easy when you hire the pros at 1st Choice Chimney. 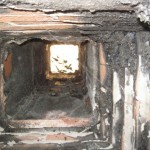 We take all the headache out of chimney maintenance and simply do the work we tell you we will do. It’s as simple as that. We clean faster and better than the competition. Call us now to schedule your springtime chimney services.